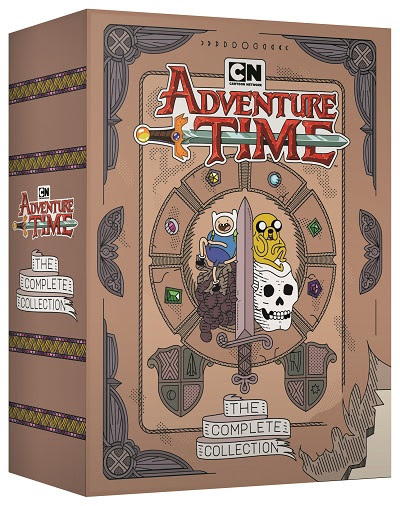 The adventures of Finn & Jake will forever live on with Adventure Time: The Complete Series DVD box set and a soundtrack box set, sold separately. From visionary creator Pendleton Ward, Adventure Time: The Complete Series 22-disc DVD collection, available April 30, includes all 238 captivating episodes from the Emmy-Award winning series. The Enchiridion collectible packaging will feature an immersive 25-page storybook, including a centerpiece pop-up with custom illustrations showcasing all the beloved characters. The collector’s box set will also include an all-new bonus disc enabling fans to immerse themselves in hours of exclusive special features. Fans can transport themselves back to any episode and sing along with over 160 songs spanning the entire series. Available May 3 for digital download & streaming on all major platforms, this must-have box set will include “Bacon Pancakes,” fan-favorite “My Best Friends in the World,” and more! Additionally, a multi-format physical box set with custom illustration, in partnership with Mondo, will include vinyl, CD, and cassette and be available for pre-order starting May 3, 2019. Created in collaboration with The Art of Elysium, a non-profit artist organization built on the idea that through service, art becomes a catalyst for social change. 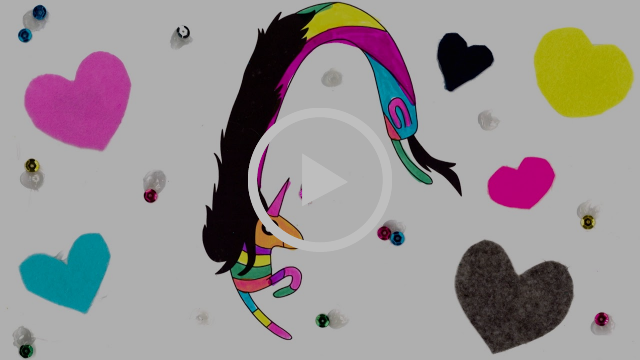 This unique art project encouraged youth and teens to use their own individual artistic creativity to animate over 1200 different cells. Each piece of animation was then joined together to create the video, perfectly commemorating ten amazing seasons of this groundbreaking show. “Farewell Tour” – A comprehensive retrospective with those who created some of the most unforgettable moments of the series including executive producer and showrunner Adam Muto; voice of Finn, Jeremy Shada; voice of Marceline the Vampire, Olivia Olson; Summer Camp Island creator, Julia Pott; Over the Garden Wall creator, Patrick McHale; The New York Times bestselling author and Steven Universe creator, Rebecca Sugar; OK K.O.! Let’s Be Heroes creator, Ian Jones-Quartey and more. Music Videos – See visual imagery of popular songs, live performances from the cast and friends of the series at San Diego Comic Con and more! No way! I am so hyped up for this!! I’m soooooooo ready for this! That’s very…. odd, that’s its DVD and not blu ray. Or at least have an option for blu ray. I get you dont really need the ‘higher graphics’ of a blu ray, but it would be half the amount of disks.